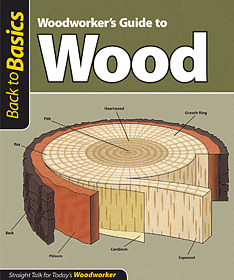 The practical information in this shop-tested manual gives woodworkers everything they need to know about their favorite material: wood. Woodworkers will learn how wood behaves in response to atmospheric humidity how to measure its moisture content how to shop for wood how to manage various lumber grades and defects how to work with manufactured boards and veneers and how to harvest and season their own wood. Several woodworking projects are also detailed in this guide including how to build a solar kiln to season wood and how to build storage racks.